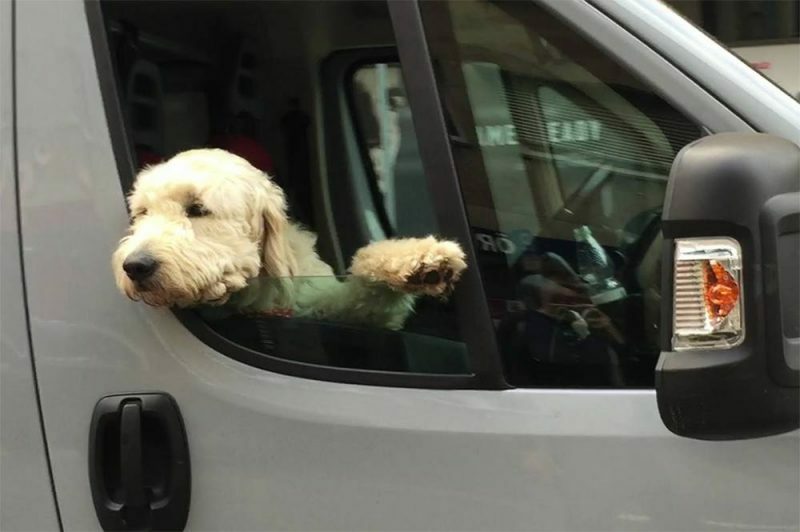 If you are a dog owner, chances are that from time to time you’ve taken your pet dog along for a ride out in your van whilst you go about your business. After all, it’s better than the poor dog being stuck at home alone, especially if you’re going to be a while. And anyway, having a dog with you can brighten up an otherwise lonely drive. But is this really a good idea? And is there anything you need to think about when travelling with a dog or any other animal in the car? Having a dog with you can certainly be much more companionable than driving around all day on your own. It can give you just the excuse you need to get out and stretch your legs occasionally, which is something we often forget to do without the incentive that walking the dog gives us. The double bonus is that you can get to explore some new places that you wouldn’t see otherwise. On the downside, you’ll need to schedule in the extra time needed to fit in a walkabout. Do You Need Permission to Carry an Animal in Your Van? Taking your dog along with you in your van is no problem if you are your own boss, but it might be a good idea to pass it by your manager if you work for a company. It shouldn’t be a problem unless the dog could be detrimental to your work, say, from a hygiene point of view if you handle food in your van. Indeed, some courier companies have used dogs in vans to deter would-be thieves who see rich pickings in delivery vans, particularly around Christmas time. A fierce and noisy guard dog can be just the persuasion needed to prevent anyone from van-jacking. Although no-one was hurt in this situation, it could have been a completely different story had the shop been full of customers. 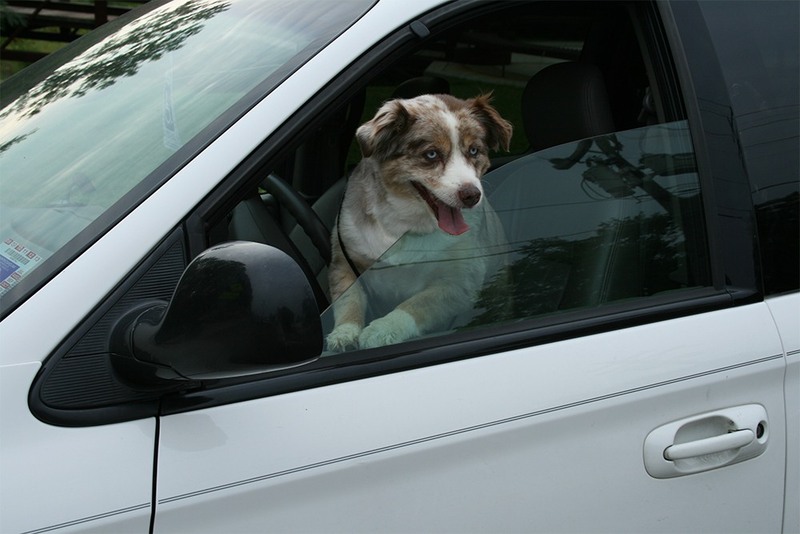 When leaving your dog in the van, even for a quick stop, you should always ensure that the animal can’t get behind the wheel or operate any of the controls accidentally. You should also consider some sort of safety harness for your dog whilst you are actually driving. Not having your animal suitably restrained can actually affect your insurance policy and you may find an insurance company will not pay out if you have to make a claim. On top of this, if you have an accident you want to be sure that your dog is secure and won’t be thrown about or can run off and possibly get knocked over in the obvious panic that would result. Another consideration is your dog’s health; a hot vehicle and dogs do not mix very well. A van can get just as hot as a car on a sunny day and leaving a dog in a hot vehicle for just 5 minutes can prove fatal! If you think you may have to leave your canine friend alone in the van for any length of time during the hot summer months, it may actually be kinder to leave him at home. If there’s really no option other than to have your dog with you, there are several ways you can help keep your faithful friend cool whilst in the van. Park in the shade, use sun screens on all windows, and make sure that there is a through draft and plenty of water available for him to drink. Invest in an air conditioning unit such as this one, and a wireless thermometer, so that you can keep an eye on the inside temperature. Try to restrict the times you leave your dog alone in the van to the cooler times of the day, such as early morning or evenings. 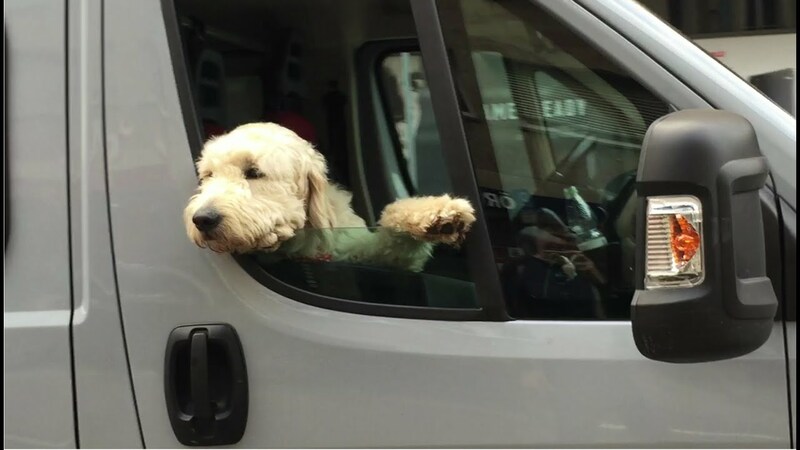 Of course, a van can be the perfect vehicle for your dog walking or dog grooming business, but again there are issues that you need to consider before you turn your wheels into a pooch parlour or a doggy bus between home and the nearest park, beach or field so that your ‘clients’ can stretch their legs. You’ll need to ensure that you have the right kind of van insurance in place for your business, so comparing insurance policies on websites such as www.comparevaninsurance.com can ensure you get the right amount of insurance cover for your van, plus adequate cover to properly protect your four legged customers.